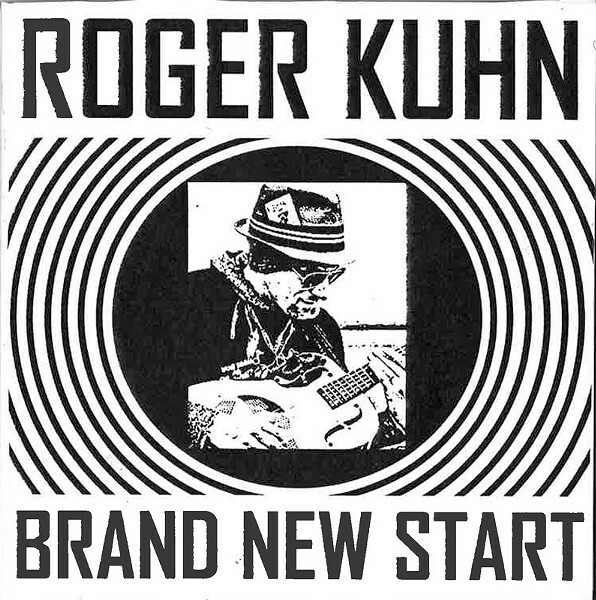 Twenty-one tracks, count 'em, 21 chances to dig bluesman Roger Kuhn's howlin', acoustic, dixiefried, buskerfied blues on the cat's new CD, "Brand New Start." His pig-sticker boots firmly planted on the sidewalk, Kuhn bleeds hot and cool, switching off between dreadnought and dobro. The recording ain't fancy but it's period correct and contemporary (if that makes any sense). Kuhn's attack is uplifting as he doesn't wallow in clichéd heartache, going so far as to dismiss those who have wronged him with little diatribes in his upstate drawl at the end of many of his tunes. His playing style is percussive and comfortably loose. There is a genuine air to Kuhn, he's charmingly authentic and so is his music. He makes feeling bad sound so good. Here are 21 chances for you to feel the same. Go ahead.